What can I do with Smart's PCI-104 Bus? Further expanding the Smart's built-in communication options of the Ethernet switch and 6 serial ports using PCI-104 cards allows Smart Gateways and Smart SoftPLC's to support an even broader range and quantity of industrial networks - up to 16 different networks simultaneously! 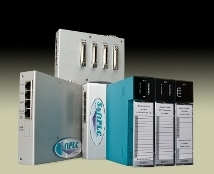 Using PCI-104 I/O boards, Smart SoftPLC's can provide high speed, low cost interfaces for machine or specialized I/O requirements, beyond those found in traditional PLC I/O. For OEM applications, custom add-on boards can be developed to support specific I/O needs to reduce overall cost or space requirements. PCI-104 is the newest variation of the PC/104 industrial bus standard. This form factor is small (3.6 x 3.8 in), stackable boards that provide rugged embedded computer solutions. PCI-104 implements the PCI bus on this form factor. 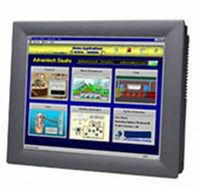 SoftPLC Web Studio is a comprehensive SCADA and HMI software package, offered as software or packaged in our panel-mount touchscreen HMIs. This newest version 7.1 offers enhanced capabilities for use on smart phones/tablets, as well as revision control and intuitive project management. SoftPLC Web Studio v7.1 provides an enhanced Studio Mobile Access (SMA) client that works with any HTML5 web browser to display alarms, trend and critical tag values. It also adds easy-to-use widgets (gauges, switches and text boxes) to monitor and interact with process values (tags) on any current browser, including those found on iPad, iPhone, and Android phones and tablets. Alarms and other information can be sent via multi-media formats such as PDF to an email account, a printer or a smartphone in real-time or as historical data. Connect to any SQL database, Excel and other popular PC-based programs. SoftPLC Web Studio 7.1 provides a built-in interface for trends, alarms/events, grids and other objects without requiring SQL programming. 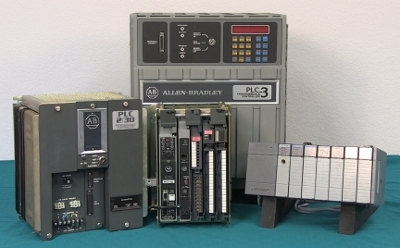 most PLCs, temperature controllers, motion controllers and bar code/2D/RFID readers. Toolkits to help users build their own drivers for other devices. FDA traceability with built-in functionality to create 21 CFR part 11 compliant projects with e-signatures. from SQL Relational Databases, with built-in data decimation in Trend Control. Tools to provide quick creation of and access to Statistical Process Control (SPC) values without programming. Multi-Language support including English, Portuguese, German, and French. Windows® 7 (and soon Windows® 8) and Server editions. The DHCP server should establish the GATEWAY and the DNS settings, the values in NETWORK.LST will be ignored if DHCP is set for an interface. This DHCP feature is for SoftPLC versions 4.6 and later. Customers in support can get the update through the package management system. Contact support@softplc.com to learn more! We have an online RSS News Feed that posts software & firmware updates, new add-ons, etc.